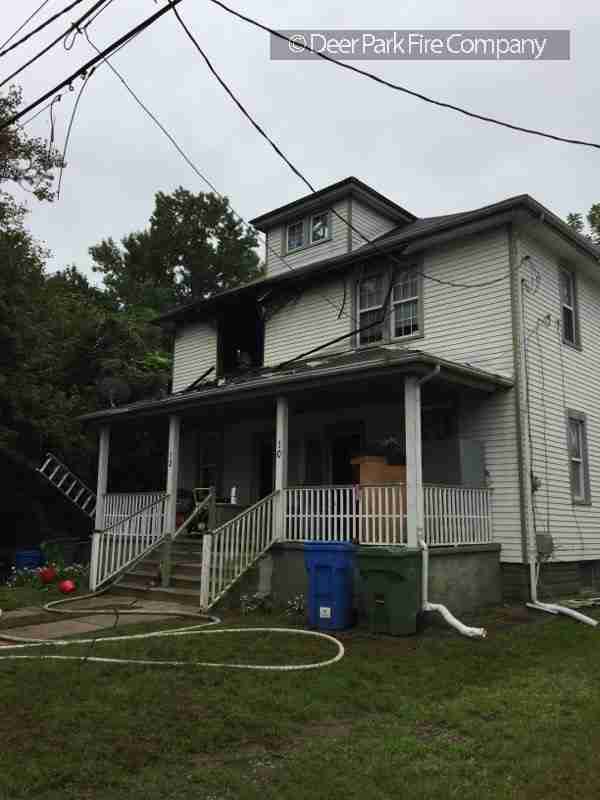 On Sunday right after noon Rehab 13 was dispatched on the “all hands” request along with the Cherry Hill Fire Police unit to the unit block of Orchard Avenue off of Chapel Avenue for the dwelling fire and personnel support. Orchard Avenue is located near the Cherry Hill/Merchantville border line, witht he cross strees being Spruce and Chapel Avenue West. The street dead ends at the property of the Merchantville Country Club and gold course. 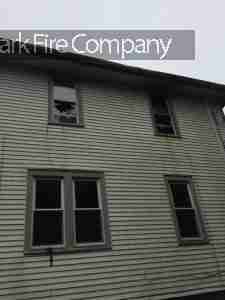 Arriving first in companies had fire showing from the 2nd floor of a 3 story wood frame duplex residential building. 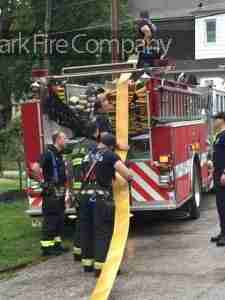 All Companies were placed in service with an 1 3/4″ line advanced by the first in company (1352) to the bedroom fire. There was some extension the the area above the fire to the floor and attic above. 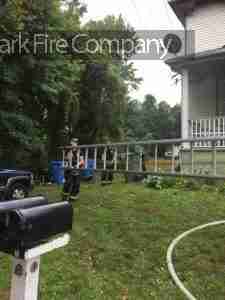 Rehab 13 responded with (2) apparatus and (4) personnel to the scene and provided liquids and cooling to the 1st Responder’s on the scene. Looking from Side (A) it was the duplex on the left of the fire building that was involved, those occupants were not home at the time of the fire. 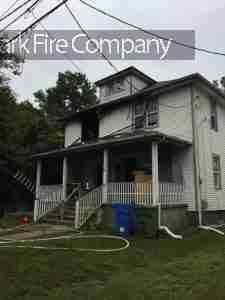 The occupants on the right side phoned in the fire and were able to evacuate on their own. Rehab 13 provided (19) bottles of Gatorade, (5) bottles of water, and (2) pots of regular coffee were made, and the rest room was placed in service. 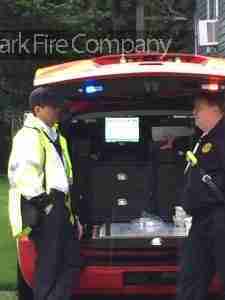 Rehab 13 was on scene from 13:12 hrs. until being released by command at 14:02 hrs. All rehab units were back in service by 15:00 hrs. 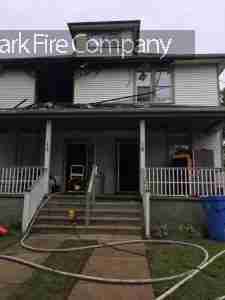 The fire origin and cause are under investigation by local officials. 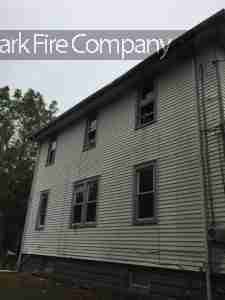 Photos taken by Lt. J. Walsh of Rehab 13. 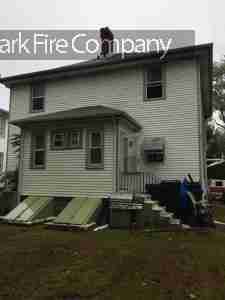 Line stretched to the fire side of the duplex, Side A view. Second floor front bedroom involved.